Making money online has never been easier, than it is today. However, for some individuals, work has to be in a factory, store, office, or any environment away from home. For others, a home office is a convenient and effective place for an online job. If you are one of those individuals that would love to work in the privacy of your home office and figure out a way to earn income online, we have some great ideas for you. Start planning to make 2019 a profitable year, by exploring the following opportunities and figuring out which ones will work for you! Affiliate marketing is the art of promoting products that are owned by other people. You promote someone’s product and earn a commission on each sale you make. It is one of the quickest, fastest growing, and easiest online techniques to make money. Affiliate marketing is a cost effective way to earn profits. Since you are not the actual owner or producer of the product, you do not need to worry about production costs. You simply link the seller and buyer and earn profit on the sale you are responsible for. You do not even need a physical location or human resources. Moreover, apart from being cost effective, affiliate marketing allows you to reach a lot of people, all over the world, with just a single click of a button. Unlike other online jobs, an affiliate marketer has the advantage of earning profits by not actually investing finances at all. Unlike other jobs, where you earn a fixed amount of income for as long as you work for an entity, in online affiliate marketing, your income flow can be steady even if you are not glued to your computer screens at all times. The best part about online affiliate marketing is that you don’t need to get up early morning, get stuck in traffic, and get to your work place every morning; you work in the comfort of your sanctuary and easily achieve a work life balance. A resource page: a resource page located on an article or a blog actually lists products or resources that an affiliate marketer recommends alongside a brief description of each resource. It is an amicable way of gaining trust and making money. Side banner ads: these are ads that an affiliate puts up on corners of websites or blogs. They lead to a significant amount of traffic and click-through every day and so the affiliate earns a considerable amount of income. Within blog posts: an affiliate posts a link on his own blog of website. This can be done when the affiliate is already talking about a product or service on his blog and wants to give an example of the same. Two of the top affiliate programs are offered by “CJ by Conversant” and Amazon. Today, more than ever, becoming a freelancer and getting frequent assignments, is pretty simple. What determines your freelance writing rates will be your writing skills, work experience and training, if any. Freelancers have a lot of choice for markets they wish to write for. They can do content writing for magazines, either print or online. They can blog by making up their own website, or by writing blog posts for someone else. The market and need for online articles is vast and there is a lot of work to get. Moreover, publishers of books are always on the search for someone to write content for their next big book. People need e-books, website copy, white papers, or sales letters. There is a huge ocean of work to choose from and if you are a good writer, you can simply dive in and make huge profits. 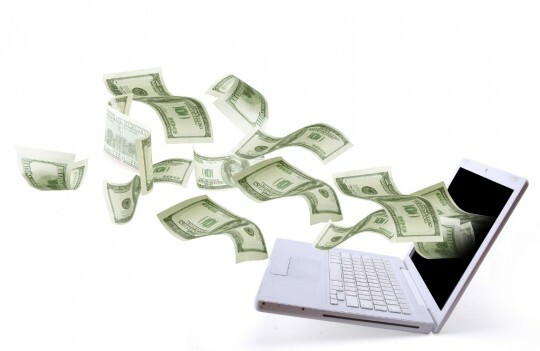 It is one of the most popular ways to earn money. Successful freelancers can earn on average 1 to 3 cents per word, or even more. That may not sound like a lot but if you’re producing and selling several thousand words a day, it will add up quickly. One point of caution is that those individuals who are not interested in writing can never be successful with it. It is only those who have a passion for writing, who become successful freelancers. Before you begin marketing your skills, you will need some samples to sell yourself. For example, if you want to try your luck at blogging, study some good blogs and create samples of your own. The most important tool that you will need is access to a computer and the fastest internet connection possible. Since most clients want tasks on Microsoft Word, make sure you are familiar with it and your computer is compatible with it. You can find work on online job boards. Places like Elance, Fiverr, Guru, oDesk, and Freelancer are a writer’s best friend. They allow people to post projects, which freelancers bid on. Do take a look around these websites and create accounts on them. It will obviously take trial and error to find the perfect project, but once you do, jobs will likely start rolling in. Another great way to earn income through your home office is to sell your knowledge, by teaching classes. For example, if you are good at math, you can provide math tutoring online or if you are an exercise guru, you can start an online exercise class in some spacious area of your house. People are more willing than ever, to learn about new fields of knowledge online such as candle making, cooking, gardening, playing musical instruments, yoga, foreign languages, etc. The key for success is to make your class sound irresistible and unique (find a niche). Don’t just teach exercise; teach a special kind of exercise such as Pilates. Don’t just give cooking classes; give specialty cooking classes. You could teach making cinnamon rolls, that compete with Cinnabon. The possibilities are endless. If you show your dedication and commitment, people will be more than happy to sign up again and again. You need to have a unique idea and then sell it well. It is not enough to say that you will offer exercise classes. People considering to opt for your class will want to know exactly what they will get for their money, so you concisely and effectively need to explain each and every detail. It should be like a sales pitch to potential customers. Try to narrow down your topic. Make sure to make a good schedule for your classes. Remember that your classes are going to be a commitment that could last weeks, if not months, so make sure not to end up canceling classes, as that will ruin your credibility. Pick a schedule that’s easy for you and that you can keep. Also, consider your attendee’s schedules. Tutoring classes can’t be conducted during school hours, so try to find a fit between time slots that are convenient for you and your prospective students. Instead of establishing a set price, consider offering packages that entice potential clients to sign up for more than one class. For example, you could give discounts to an individual who also gets her friend to sign up for your class. Finally, the key to success for your classes will be to get the word to as many people, as possible, that might have an interest in your class. Word of mouth can be an effective marketing tool, as well as establishing an online presence, by creating a website and using digital marketing to spread your word. You can use a free web hosting service, such as Blogger or an inexpensive “shared” hosting platform, such as Bluehost or HostGator. Etsy: Etsy is the fastest growing site that allows people to sell their product to a vast audience, at a fair price. The site boasts about 40 categories, from edibles and clothes to gifts and vintage. eBAY: On eBay, you only need to worry about creating a good listing since the potential customers are already there. When you put up something on eBay, you are very likely to make a transaction, if you have a good product, as a fair price. BULLETIN BOARDS, FORUMS, and OTHER COMMUNITY SITES: These offer a good chance of promoting and eventually selling your products online. The best part is that the viewership of such sites is huge. SELLING FROM YOUR OWN WEBSITE: It is best to create your own e-store. You get to tweak it to your choice, and you can very easily and cheaply create text listings, and list quantities and prices. Shopify is a popular platform for creating your own e-store. AMAZON: I’m sure you have heard of FBA (Fulfilled by Amazon), as it is getting very popular. Individuals and small businesses have products sent to Amazon, for them to store, until a sale is made. Once sold, Amazon packs up the product, ships it, and sends you the sales proceeds, minus their fulfillment fees. SOCIAL MEDIA: This is a great medium for selling your creativity. There are shops and pages that are great for selling products and services. It has the greatest viewership and tons of fan pages, helping to get your product and/or service a lot of exposure. Individuals and businesses often submit their product, website or service details, asking for paid reviews. They pay an amount and in return ask that a review be written about their product or service. They usually expect good reviews, but an honest reviewer should review both good and bad aspects about the product or service, without prejudice. Be aware that some marketplaces (such as Amazon) frown upon paid reviews so be sure to read a marketplaces terms and conditions, before providing a paid review. Consultants offer their advice or service for a fee in return. You may, for example, help a company gather media attention by writing and distributing press releases to proper channels or aid a new social service organization develop a plan for their fund-raising policy, and then further provide your service in overseeing the process. Other people use consultants for financial advice, legal advice, or pay them to be taught how to maintain a garden. Basically, if you have a unique skill in a particular area, you can market yourself as consultant and serve people from home, online. Whichever area you prefer to work in, you must be able to show your experience in that area to your clients. If there are any organizations that are related to your field, try to become a member of them. Also, try to take courses and get yourself certified as a consultant in that field to increase your credentials. Market yourself heavily. Package yourself in a way shows you as competent and trustworthy. If you market yourself as a financial adviser, ask yourself why people would be willing to trust their finances with you and then figure out a way to convey that to clients, in any form. Make sure to set a smart schedule that allows you to focus on your work diligently, without throwing your personal life (and your “day job”, if you have one) out of balance. Also, working independently provides a lot of flexibility and opportunities but it also doesn’t provide some of the stability that a full time job can provide. If you currently have a full time job but dream of working independently, build up your side business first, before leaving your full-time job. That will make the transition much easier and increase your odds for long-term success. Lastly, be mindful of any opportunities that seem “too good to be true”, as they often are. Please be on the lookout for upcoming posts that cover each of the topics presented in this post, in greater detail, as well as other money making opportunities. If you enjoyed this post, please consider sharing it with your family and friends, on social media. Thanks for reading.